Our Banquet Room offers relaxing charm with a touch of elegance. The hand hued beams and hardwood walls provide a comforting atmosphere not often found today. 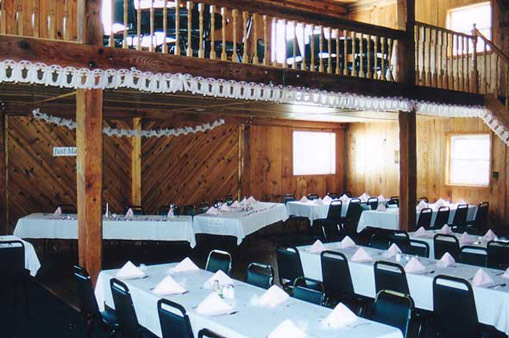 The banquet room holds a maximum of 110 people. Contact us today and let us help make your next event a an enjoyable one.